In case you haven't noticed, there are a lot of Irish people in the New England area. It's fun to see how the Irish accent has turned into the New England accent. 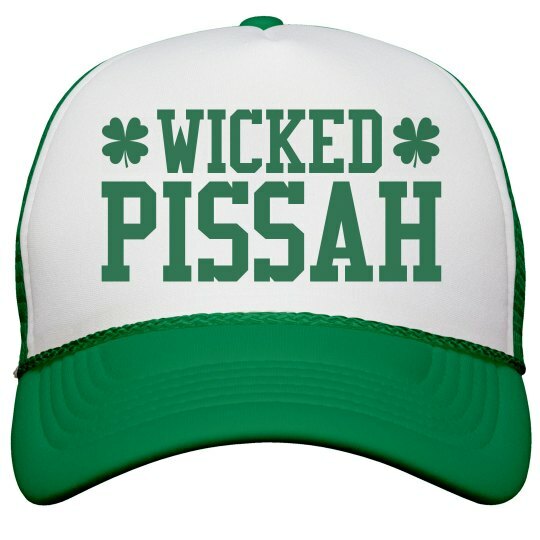 This St. Patrick's Day, celebrate your Irish-American heritage with this awesome trucker hat. Wicked pissah! That means that something is extremely awesome!